This entry was posted in Beauty Treatments, Hair Care, Skin Care and tagged Body Care, hair care, Skin care on January 26, 2012 by Marjorie. This entry was posted in Beauty Treatments, Eyelash, Fashion, Makeup, Skin Care on January 19, 2012 by Marjorie. This entry was posted in Beauty Treatments, Feet, Hygiene, Nail Care, Skin Care and tagged foot, foot treatment, healthy feet, homemade foot soak on January 19, 2012 by Marjorie. This entry was posted in Acne, Beauty Treatments, Skin Care, SPF, Sunscreen and tagged Acne, facial skin, Skin, skin problem and solution on January 19, 2012 by Marjorie. 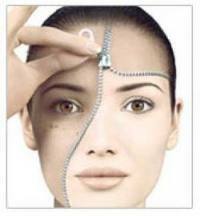 This entry was posted in Beauty Treatments, Skin Care on January 16, 2012 by Marjorie. This entry was posted in Beauty Treatments, Hygiene, Skin Care and tagged Underarms, Whitening on January 13, 2012 by Marjorie. 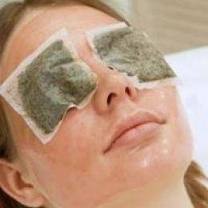 This entry was posted in Beauty Treatments, Diet, Eyelash, Fashion, Skin Care and tagged causes of eye bags, eyebags home remedies, eyes, prevention of eye bags, remove eye bags on December 26, 2011 by Marjorie. This entry was posted in Beauty Treatments, Fashion, Skin Care, SPF, Sunscreen and tagged Skin, skin tan, spray tanning, sunless tanning, tan, tan spray, tanning on December 24, 2011 by Marjorie. This entry was posted in Beauty Treatments, Diet, Skin Care, SPF, Sunscreen and tagged hydroquinone, lighten skin naturally, papaya soap to lighten skin, Skin care, skin exfoliate, skin lightening on December 23, 2011 by Marjorie.